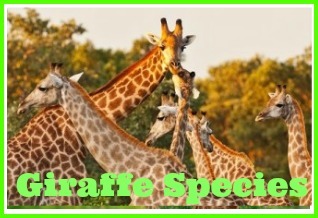 There are several types of giraffes including 4 species and numerous subspecies. The giraffe and its closest relative the okapi are the last survivors of the once plentiful Giraffidae family. While the okapi is a solitary, forest dwelling creature rarely seen, the giraffe is a true show stopper, herds of which wander in surprising abundance across the African savanna. Today the giraffe is the tallest animal on Earth, with males topping out at about 18 feet at the top of the horns (called occicones), and 11 feet at the shoulder. Although no fossil trail exists, it is assumed the giraffe developed its remarkable physique and out-survived its relatives, by reaching for the treetops. As taller individuals ate leaves and fruits unavailable to shorter individuals, the giraffe thrived, and became more and more specialized. While the 6 to 8 foot long, 600 pound neck is most obvious, the giraffes entire body is a masterpiece of specialization. Viewed from the side, the giraffes shoulder region is towering, with a highly elongated pectoral girdle which gives the illusion that the front legs are longer than the rear. Front and rear legs are about the same length, however, between 5.5 and 6 feet long. 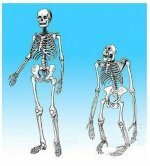 While the relatively short back has vertebrae of a median size, the vertebrae of the neck, are stretched to about 11 inches long, They still have the standard 7 neck vertebrae found in most mammals, including us, but they are not only elongated, but also articulate far more than ours. The neck is supported by powerful muscles and reinforced ligaments which anchor to vertebrae between the shoulder blades, and form a hump where the back and neck meet. The head is refined, streamlined and equipped with an 18 inch long tongue for even further reach. Both males and females have horns known as "occicones", which are formed from cartilage and covered with skin. Females have thinner occicones, that are tufted with longer hair on top. Males occicones are larger, have knobs on the ends, and become bald on top as they mature. Though the giraffe is the worlds tallest animal, it is, especially by mammals standards, remarkably peaceful, with very little territorial drive, and aggression between males limited to largely harmless "necking" displays. 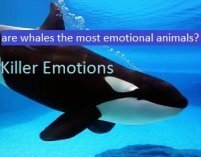 Males and females mingle, young are protected by herd members, and individuals take turns looking out for eachother while drinking or napping. Theirs is also a very quiet life. 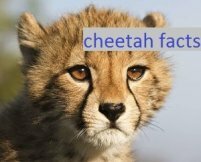 While some may incorrectly report that giraffes make no sounds at all, they are, in fact, diverse in vocalizations, emitting grunts, snorts and flute-like sounds of different meaning, but infrequently, and at very low volume. 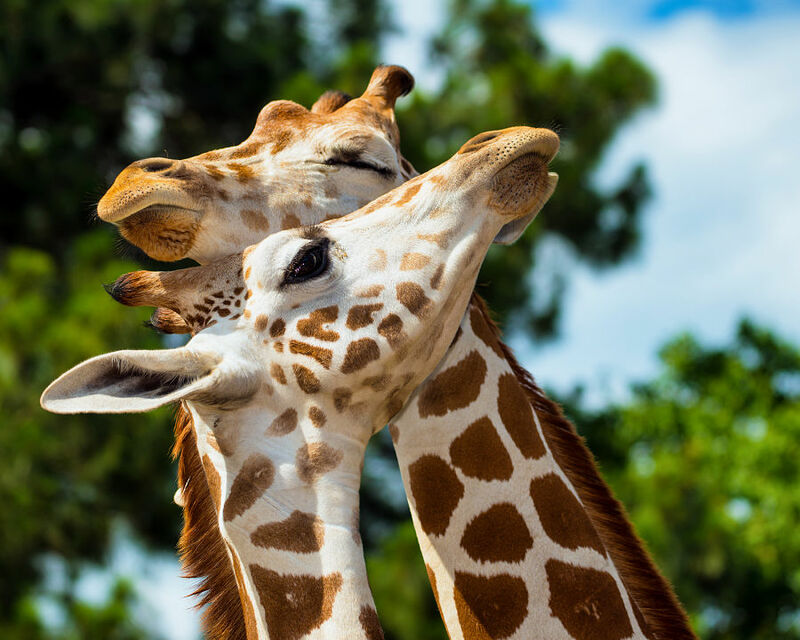 The length between lungs and vocal chords could limit production and volume, but new research has also found that giraffes make sounds we simply can't hear because they are too low a frequency. In 2015, it was discovered and documented that giraffes in zoos hummed to eachother. This humming was only at night, and only in the dark, and far too low for humans to hear. - Amazing! 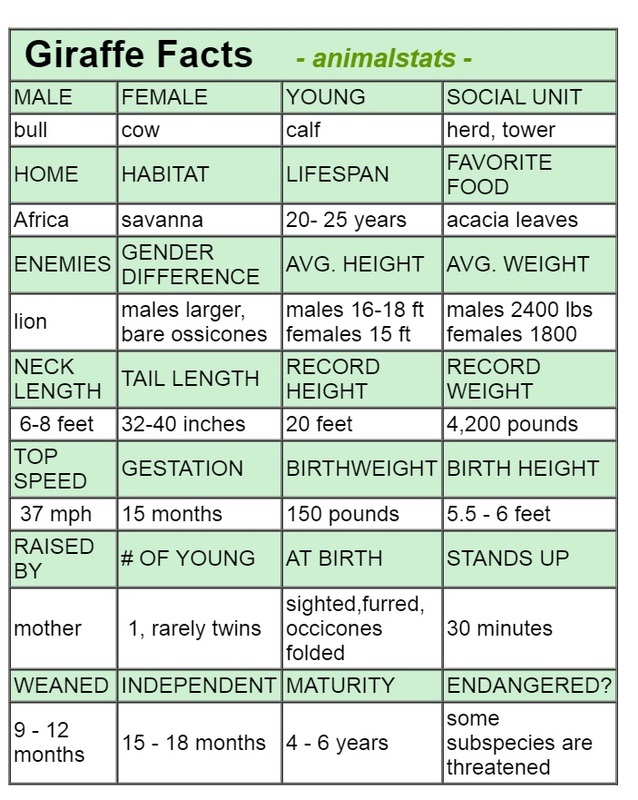 Current zoological classification states there is just one species of giraffe, but we believe this will change within the next 5 to 10 years. 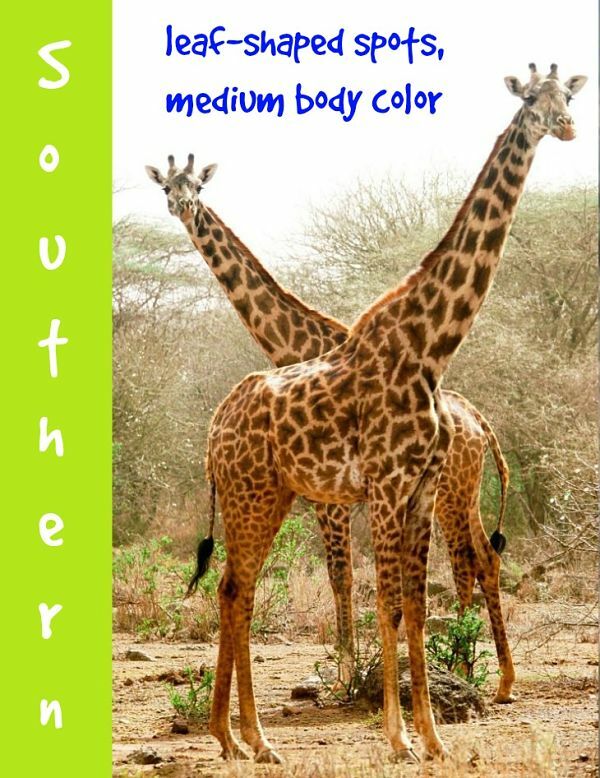 Presently there are between 8 and 11 subspecies of giraffes recognized by the scientific community, differentiated almost exclusively by coat color and pattern. 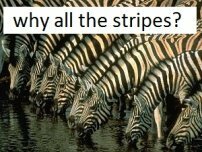 This number changes and is debated because of a lack of study on the subject, and because color and pattern variations occurring between animals in the same herd, or even the same family, occasionally appear to be those of different subspecies. It is most likely that there are less than the commonly reported 9 subspecies, but it is also very likely that there is more than 1 species - and most probably 4 species of giraffe. Why? 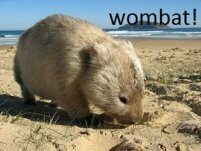 Well, one observation of some subspecies as they encounter each other is that interbreeding is not taking place within some of the types. Interbreeding usually takes place within subspecies, and so the reluctance for these herds to intermingle suggests that there may, in fact, be more than one species of giraffe. More recent DNA research supports this possibility, and some authorities who are studying the herds in the wild are leaning towards the idea that there are actually three to six separate species of giraffe. 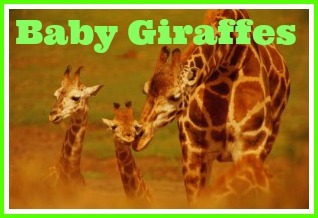 We strongly lean towards this theory, but as is often the case with zoological classification, particularly of such iconic mammals as the giraffe, this concept is being hotly disputed, and if any changes are to take place, it will be a number of years before the idea of three or more distinct giraffe species is accepted. 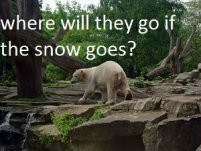 Remember, of course, that it was argued for decades that the Giant Panda was not a bear, before it was finally reclassified as ursine. From a conservation standpoint, if we lump all giraffes into one species, the critically low numbers of some populations becomes obscured. 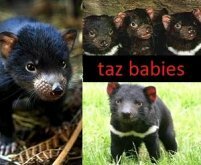 Full species status for some subspecies might allow conservationists to focus resources and save them from extinction. The total number of giraffes in the wild has dropped about 30% in the last decade and hovers at less than 100,000. Perhaps most telling of the plight of the giraffe is that some subspecies, like the Angolan giraffe, are named for countries or regions they no longer exist in. The Angolan giraffe, also called the "smoky" giraffe, has numerous thriving herds in Namibia, Zambia and Botswana, but no longer exists in Angola. With a total population of approx. 15,000 individuals, many roam the Etosha National Park in Namibia, where they are regularly observed and photographed by tourists on safari. 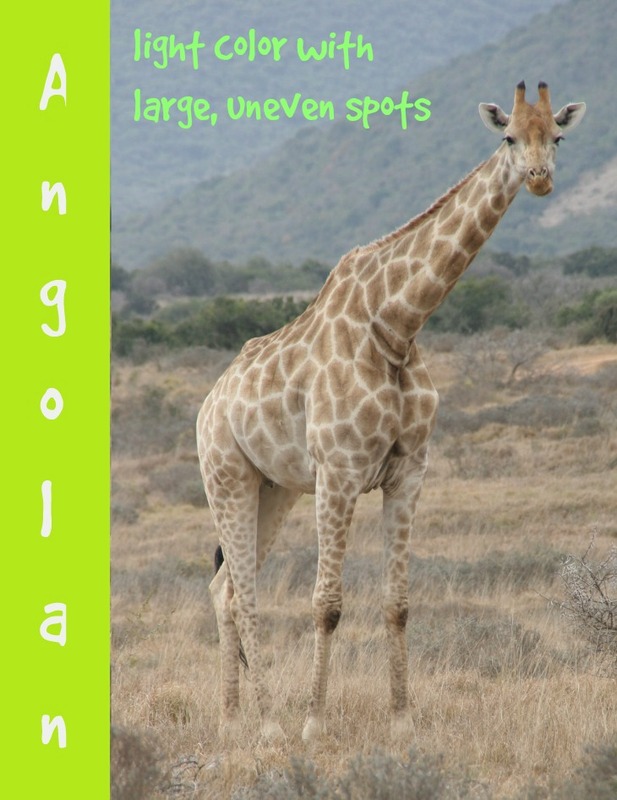 The Angolan is light in color with large, uneven, rectangular spots that are darker in front but fade out down the legs, and often disappear across the rump, giving them their "smoky" look. 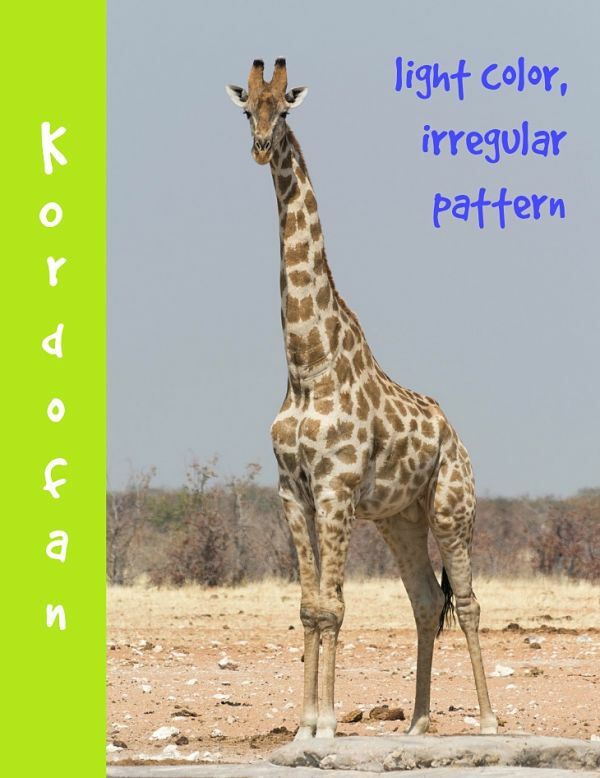 A lovely, pale-colored giraffe, the Kordofan has one of the less distinct coat patterns. Sometimes rectangular, sometimes more star-shaped, the spots are usually quite far apart and the pattern never goes below the knee. These giraffes number only around 2000 individuals. 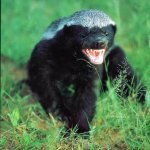 They live in isolated herds throughout Chad, Cameroon, Central African Republic and the Democratic Republic of Congo, which are areas of Africa that have been war zones in recent years. Thankfully, nearly half the population resides in Zakouma National Park in Chad, where they enjoy the relative safety of a dedicated conservation effort. The Maasai giraffe is the most abundant of the subspecies, with an estimated population of just under 37,000. They occur across Kenya and Tanzania along the Maasai Mara river. 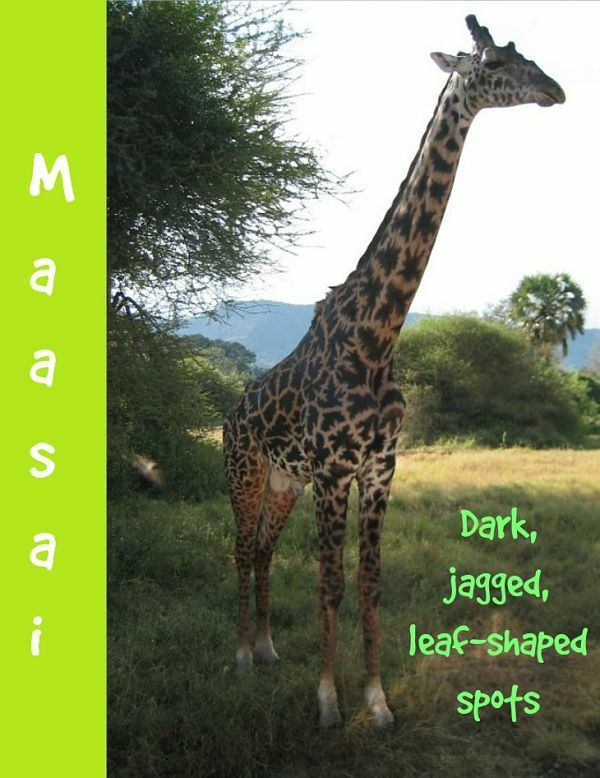 Maasai giraffes are tall, with a very dark and distinct pattern of crooked spots that look like vine leaves or distorted stars. 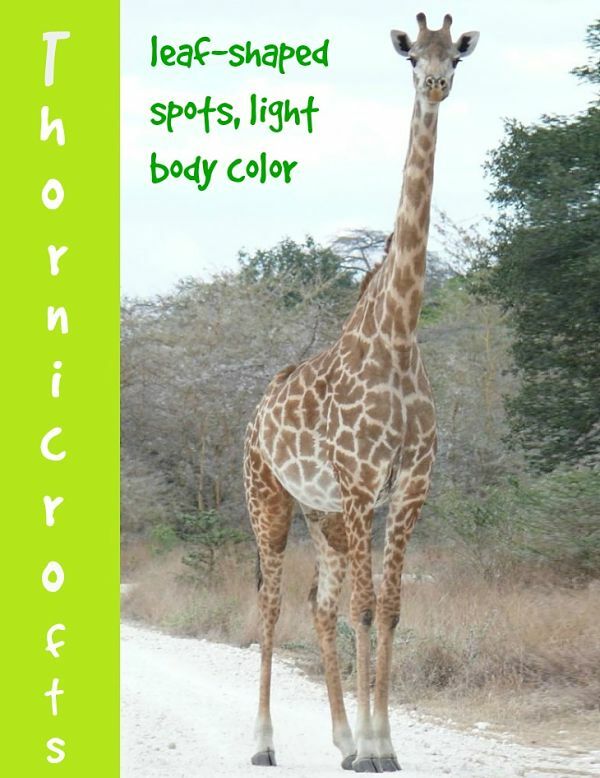 Males in particular, have very dark spots, and like most giraffes, get even darker as they age. The coats are beautiful, and illegal poaching for hides has seen the Maasai population dwindle over the last few decades. 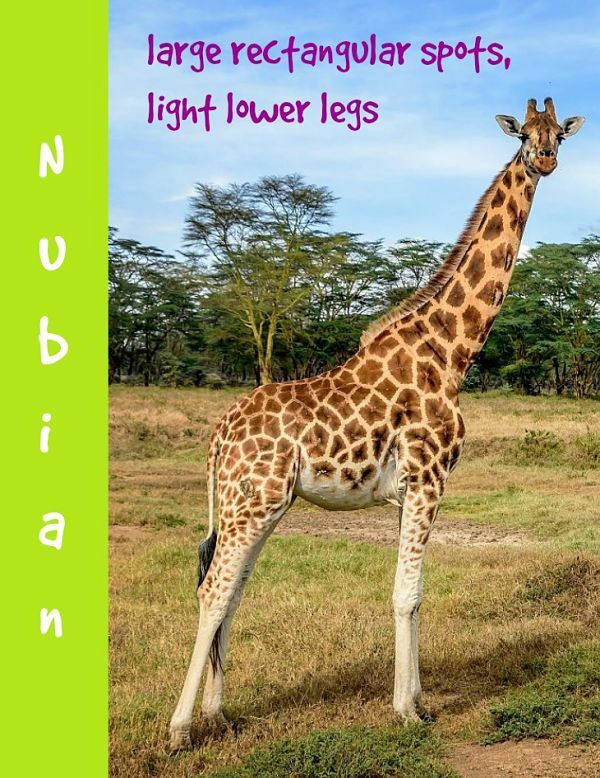 The Nubian giraffe has large, irregular, rectangular spots on a cream-colored body. 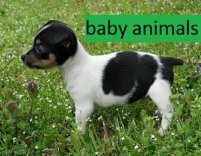 The pattern does not extend far down the legs, and the belly is also without spots. 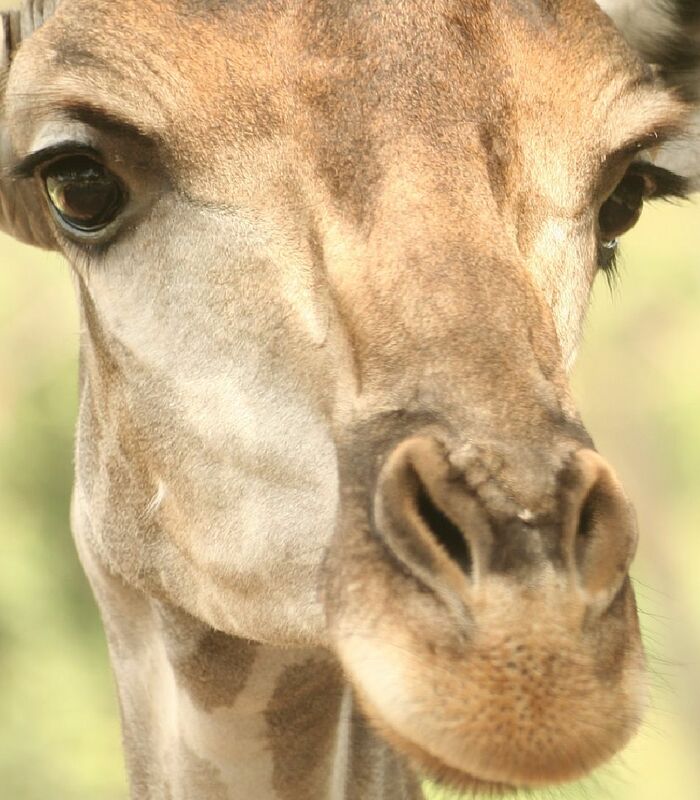 Nubian giraffes often have extra ossicones, like the Rothschilds giraffe, and there is speculation that they may be the same subspecies, or perhaps may both belong together as their own species. The nubian giraffe numbers only about 600 individuals, and are found in South Sudan and West Ethiopia. Many exist under the protection of the Gambella National Park in Ethiopia where they are studied by the Giraffe Conservation Foundation. The spectacular Reticulated giraffe is known by several other names including "Netted" and "Webbed". 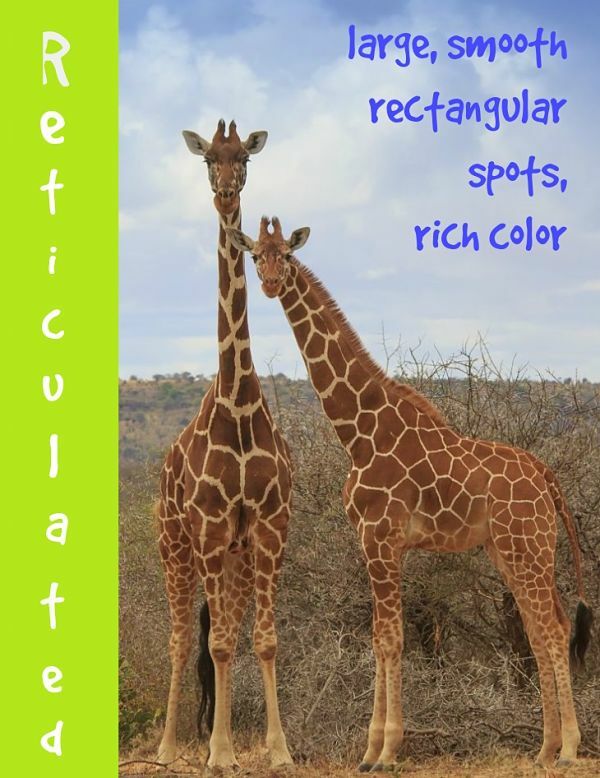 Found in Ethiopia, Kenya, and Somalia, where it is also known as the Somali giraffe, the Reticulated has a rich, bright pattern of large, smooth, chestnut-colored rectangles against a clear, cream-colored background. 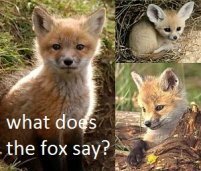 The face is also reddish-brown in color, and the tail tends to be quite long. These giraffes are a prize for poachers and their population has decreased dramatically since the year 2000. Only 8,000 individuals survive in the wild today. Thankfully, Kenya has cracked down on poaching in recent years, and is working to maintain its current herds. 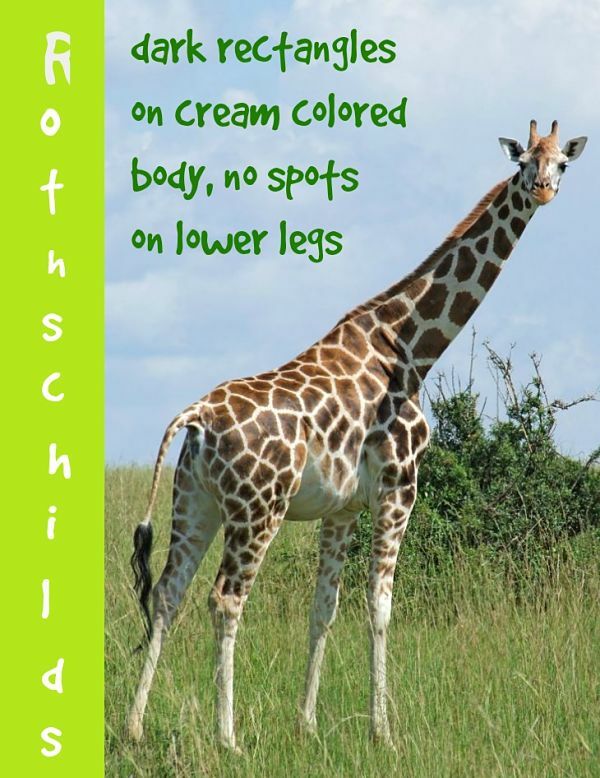 The Rothschilds giraffe is one of the subspecies that is strongly suspected of being a separate species. These large, robust giraffes live in Kenya and Uganda in numbers of less than 1500. Rothschilds have large, dark rectangular patches that stop at the knees. The background color is beige to nearly white, and these giraffes frequently have extra occicones. These are the giraffes seen visiting people at their second floor windows at the famous "Giraffe Manor" in Nairobi. Giraffe Manor is a sanctuary for Rothschilds giraffes which was developed by Jock and Betty Leslie-Melville in the 1970's, and continues to preserve them to this day with a breeding program and orphanage. 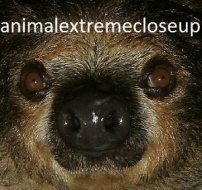 It operates as an amazing hotel and safari park, while doing amazing conservation work, and spreading awareness of the rarity of these animals. The Southern giraffe, or South African giraffe, is one of the more common subspecies at an estimated population of 17,000. They can be found in areas across the southern half of Africa including Zimbabwe and Botswana. 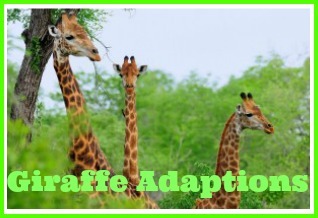 Efforts are underway to reintroduce both the Southern giraffe and the Angolan giraffe to Mozambique, whose government has implemented numerous conservation efforts for local wildlife. 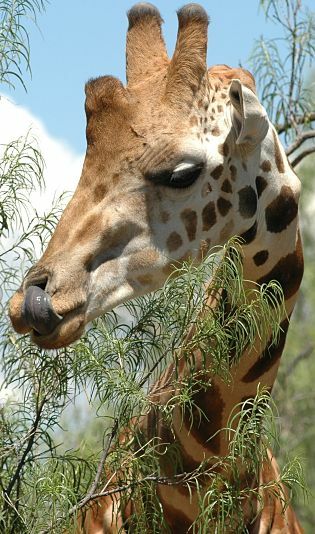 The Southern giraffe has jagged, star or leaf-shaped spots on a beige background with a reddish tinge. The pattern often covers the legs. The mane is usually red, but the tail tuft is black. Thornicroft's giraffe is slightly smaller than some other subspecies. It's leaf-shaped pattern is reddish-brown on a light tan background that continues down the legs. 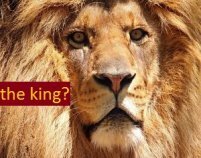 The mane is usually red with a black tail tuft. Tails are slightly shorter on this subspecies. They number approximately 1500 individuals, and are very similar to the Maasai giraffe in appearance, but with a lighter overall color. 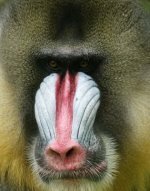 Some scientists beleive the Maasai and the Thornicrofts belong in their own species together. These giraffes are isolated from other giraffes, occurring in only one area of Africa, the South Luangwa Valley of Zambia. Most of the population lives within the borders of a game preserve in the valley, where they are largely protected from poachers. It is believed that there are no examples of Thornicroft's giraffes in captivity anywhere in the world. This subspecies is also called the Rhodesian giraffe, and the Luangwa giraffe. Strongly considered to be it's own species, the Western giraffe, or West African giraffe, is the rarest of the 9 subspecies. These giraffes were near extinction in the 1990's when it dwindled down to only 50 individuals, but the government of Niger fought hard to re-establish them, and today, approximately 400 Western giraffes exist in Niger. 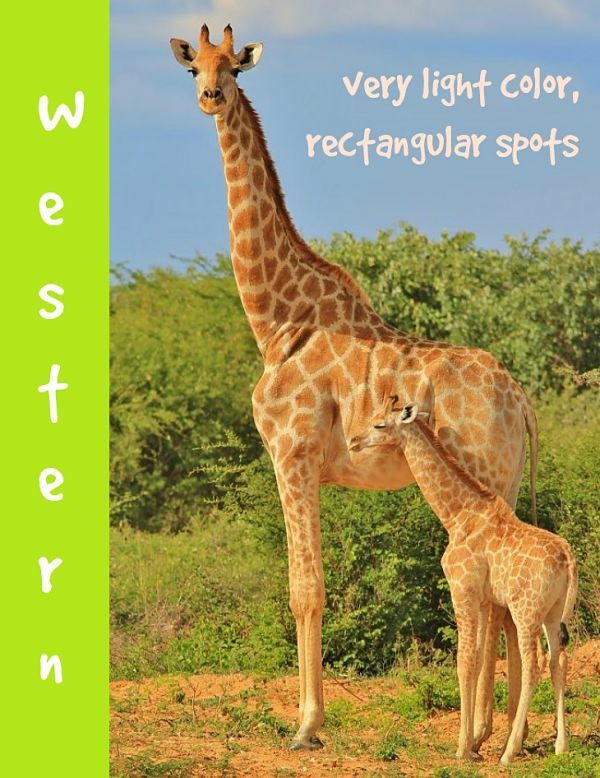 The Western giraffe has a distinctive appearance, with large, polygonal spots of a gold or tan color, set wide apart against an ivory background. The pattern does not continue below the knees, and the belly has no spots. The light color has earned the Western giraffe the nickname "Blonde" giraffe or "White" giraffe. Giraffes have 2 to 5 horns called "occicones"
A giraffes kick can kill a lion!